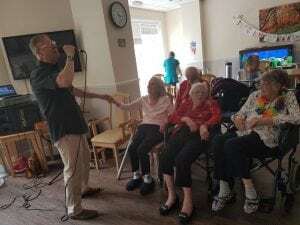 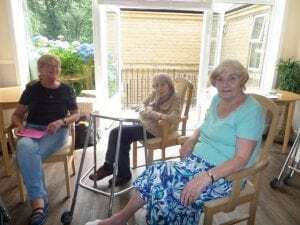 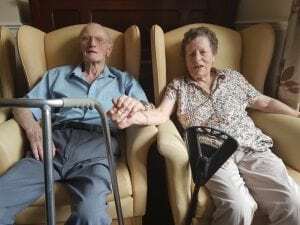 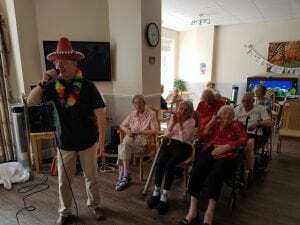 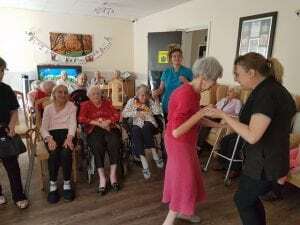 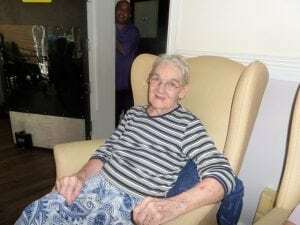 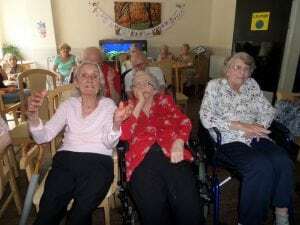 We had another excellent boppy singing and dancing session with Kevin Kitchen, whom we invited to help us celebrate Joan’s and Anne’s 85th birthdays (only a few days apart).It was great to see so many smiley faces and have a few relatives join in with all the fun. 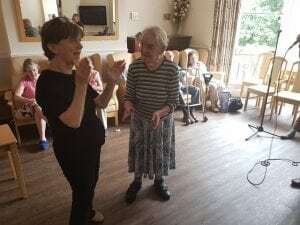 Our new resident, Tricia, was particularly enthralled and did some amazing dancing. 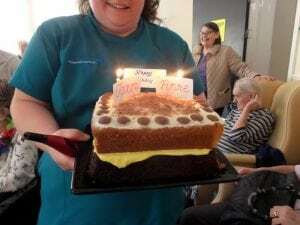 Tracy made a banana and chocolate birthday cake, which went down well.